When it comes to getting married abroad, there is so much to think about. It can be difficult to arrange everything from another country, and to make sure everything is in place. When it comes to your wedding dress, you have to think about how you are going to transport it to your destination. 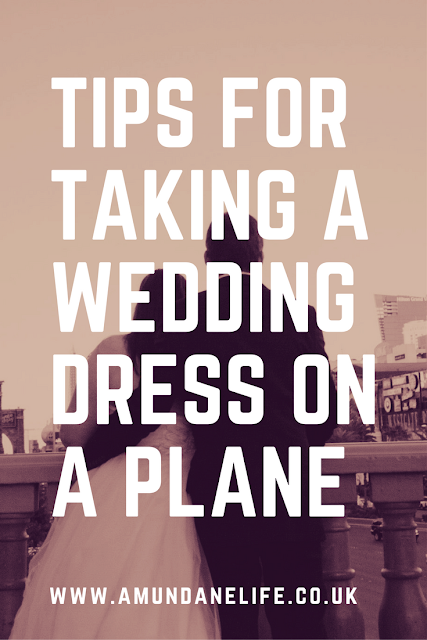 There are so many things to ask yourself, so I've compiled a list of tips for taking a wedding dress on a plane. When it comes to having a destination wedding, you have to think about lots of factors when it comes to choosing a dress. Are you going to buy it where you live and take it on the plane? Are you going to ship it to your destination? 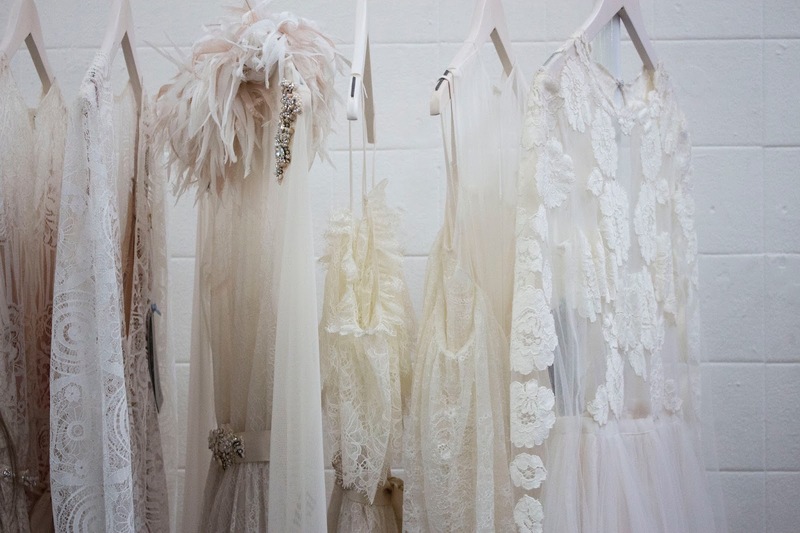 Are you going to buy it in the country where your wedding is taking place? My dress was actually quite large, but I opted for a layered tule dress, instead of a structured dress that would be hard to fold into a small space. The tule meant that I could fold it down to fit into my wedding dress box. I did have a corset style top, so you can have a slightly structured dress. Although I would recommend a lighter material as you don't want it too heavy to fit through security. I asked my bridal store to help me put it into my box. They will be used to doing this, and my bridal store didn't charge to do this. They were experts at folding the dress, and I know that I would have made a massive mess of the dress trying to fold it up to fit. They also put special tissue paper in between each layer of the dress to keep it nice and stop it getting damaged. Most airlines will allow you to have two pieces of hand luggage. Usually this is a larger bag and a handbag. This allows you to take your wedding dress on board with you. This means you don't run the risk of it getting lost. I purchase my box from Life Memories Box Company and I had no problem taking it on as hand luggage. I also ordered the "Just Married" sticker for my return home. Lots of people commented on the box, and they also congratulated us, or wished us luck for the wedding. This was really nice and made us even more excited to get married. 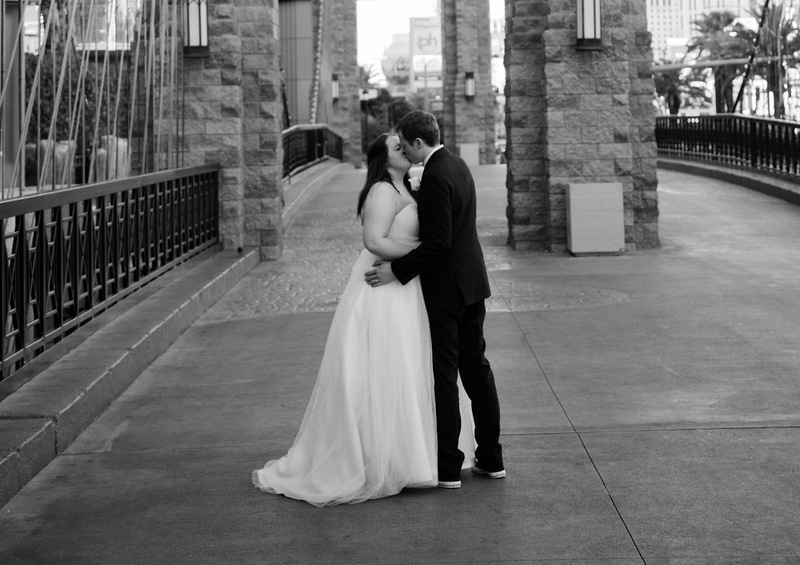 I was also able to choose the ribbon colour to match our wedding colours. Sometimes if you are lucky, and if the airline has space in their first class closet you are able to get them to hang up your dress. This is not guaranteed though, and depends on their policy and that particular flight and staff. You could risk taking your dress in a garment bag, but I have heard of people being told to put it in the hold as they don't allow wedding dresses to be hung. Also you have to think about whether there will be more than one bride on board. A popular wedding destination means there will be lots of dresses onboard so they won't have room to accommodate everyone. I took a garment bag with me so that I could hang up my dress as soon as I arrived at the destination. I did hang it up in the bathroom though whilst I took a shower so the steam could help get rid of some of the wrinkles. I had to make sure my future husband didn't see the dress though so banned him from the bathroom! I then hung it in the garment bag and stored it in the closet with strict instructions that he wasn't allowed to take a look. 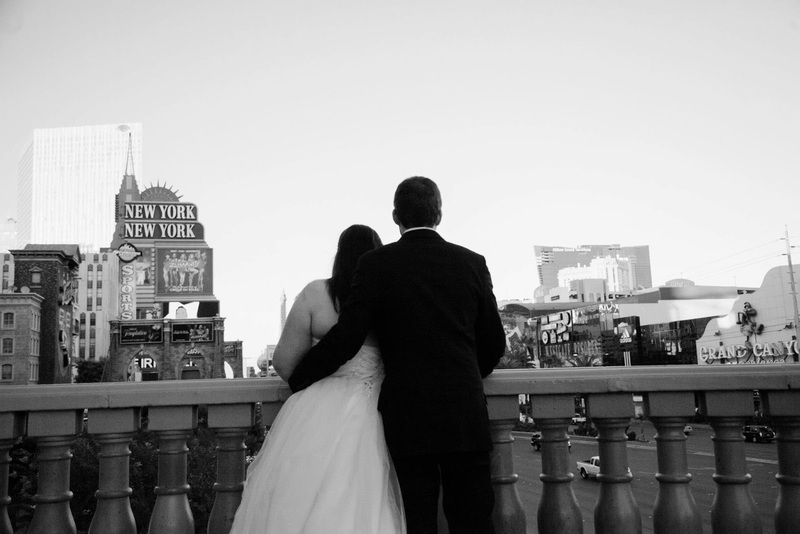 We got married in Las Vegas and stayed at the Bellagio hotel. They were very helpful when it came to getting the dress ready for us. We asked them to send it to be steamed, and I think this cost around $70. It was totally worth it though as it arrived back to the hotel on the same day and they even returned it to our room and hung it up in the wardrobe for me. It made it stress free, and I knew that it would be ready for the day. I also didn't have to worry about the dress getting screwed up in the wedding box. 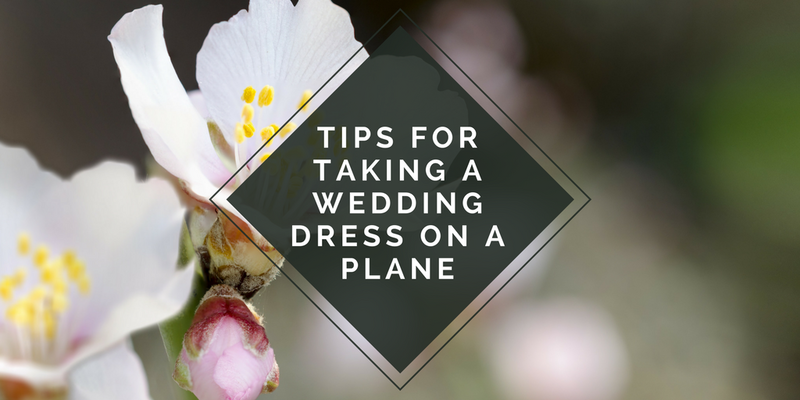 That's all my top tips for taking a wedding dress on a plane. I know they are pretty basic, but I was offered some of this advice so thought I would share it. I also thought I would add that it doesn't have to be stressful to take your dress with you. Make sure you talk to your airline to check their policy for carrying wedding dresses.